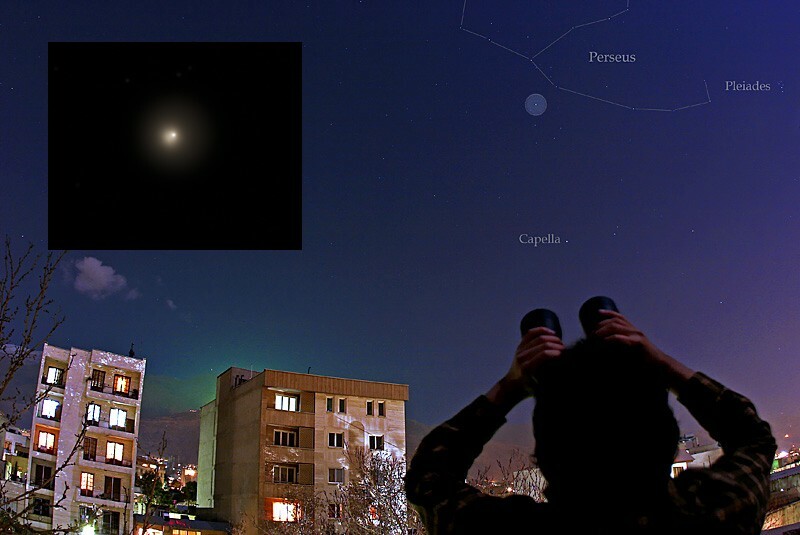 Explanation: Comet 17P/Holmes stunned comet watchers across planet Earth earlier this week. On October 24, it increased in brightness over half a million times in a matter of hours. The outburst transformed it from an obscure and faint comet quietly orbiting the Sun with a period of about 7 years to a naked-eye comet rivaling the brighter stars in the constellation Perseus. 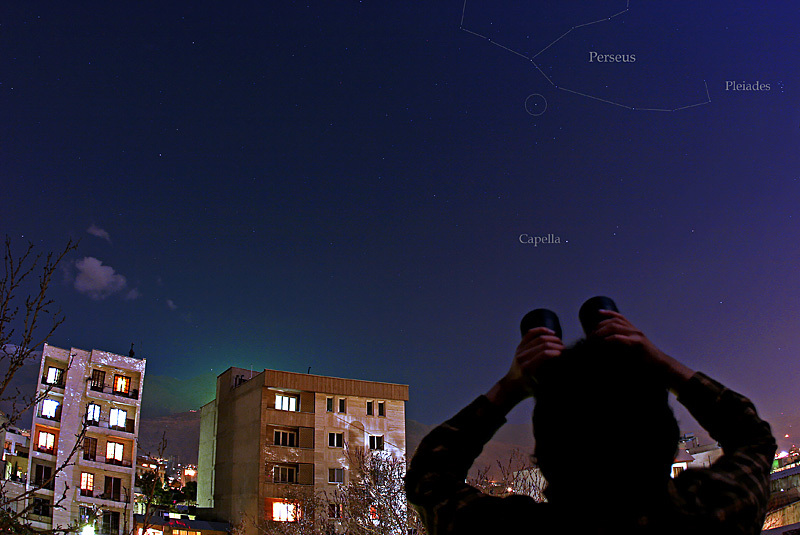 Recorded on that date, this view from Tehran, Iran highlights the comet's (enhanced and circled) dramatic new visibility in urban skies. The inset (left) is a telescopic image from a backyard in Buffalo, New York showing the comet's greatly expanded coma, but apparent lack of a tail. Holmes' outburst could be due to a sudden exposure of fresh cometary ice or even the breakup of the comet nucleus. The comet may well remain bright in the coming days.